This charming holiday cottage forms part of a former farm. It is nestled on a leafy plot and surrounded by trees, which shields it from view from the owner's house. This charming holiday cottage forms part of a former farm. It is nestled on a leafy plot and surrounded by trees, which shields it from view from the owner's house. The three bedroom holiday home oozes charm with stone walls, wooden beams and a thoughtfully considered decor. You will also benefit from a terrace for al fresco dining. 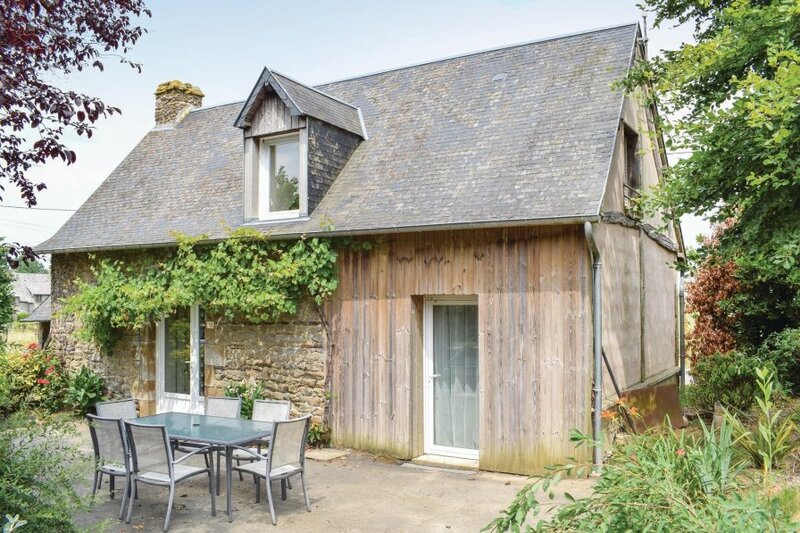 The property benefits from a fantastic location, close to the bay of Mont Saint-Michel. You will also be close to Fougeres and Saint-Malo and an array of walking and bike trails. This villa is made from brick or stone. The agent has rated it as a three star property so it is a well-kept villa, equipped with standard furniture. It is also good value for money. The villaIt is located in Saint-James, 26km from Saint-Hilaire-du-Harcouet. It is set in a good location: there is a restaurant 6km away.